But when Hugh signs a bad business deal, all Ewan's hard work may come to naught. As his plans begin to crumble, Laura reveals something surprising. 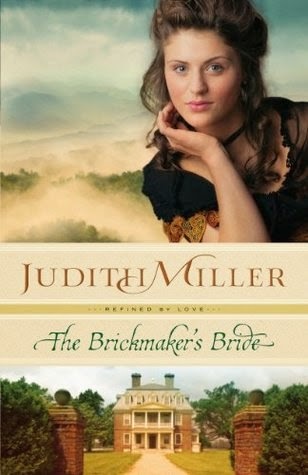 She and her mother may have a way to save the brickworks, and in turn Ewan may have another shot at winning Laura's heart. Historical fiction may very well be my favorite type to read these days. It's such a great escape into a time that so many have forgotten. In some ways, it really puts things into perspective when you read about how bricks were made and how backbreaking the work must have been. I don't know how they're made now, but I'm sure that it's a far more automated process than it was back then. The very fact that I have any idea how bricks were made post-civil war is a testament to this author's research and writing. In fact, she laid things out in such a way that I wouldn't be surprised if I'm on Google some time today looking for pictures of some of the machines that were used. Another point in Judith Miller's favor? The fact that none of her characters were perfect. In fact, some of them were so flawed that you loved to hate them. Every character had their own struggle and it created a wonderful read.